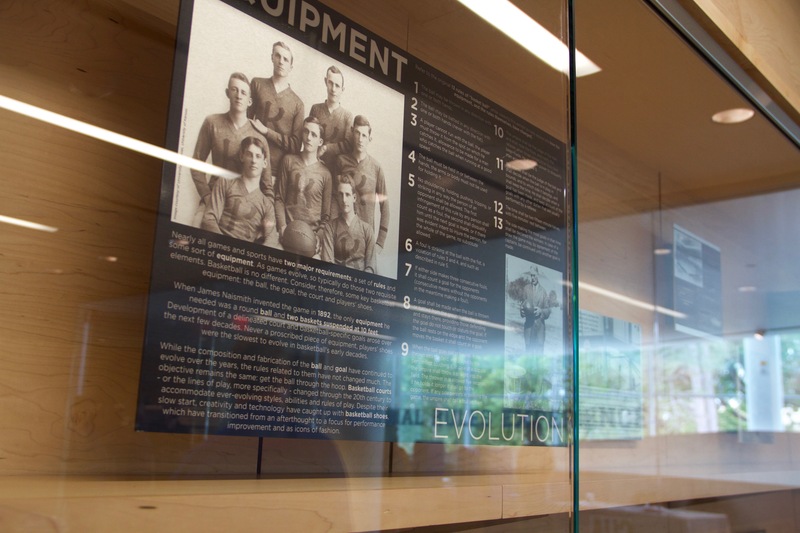 Just a few steps from Dr. Naismith's Original Rules in The Rules Gallery is an exhibit that opened in the fall of 2018. The Original Rules Experience holds three distinct exhibits that tell the story of basketball's growth from a winter activity in the Springfield College gymnasium to one of the world's most popular sports. You can visit the Original Rules Experience at the DeBruce Center anytime the building is open. There are eight people in the Naismith Hall of Fame who either attended KU or were head coaches at KU. 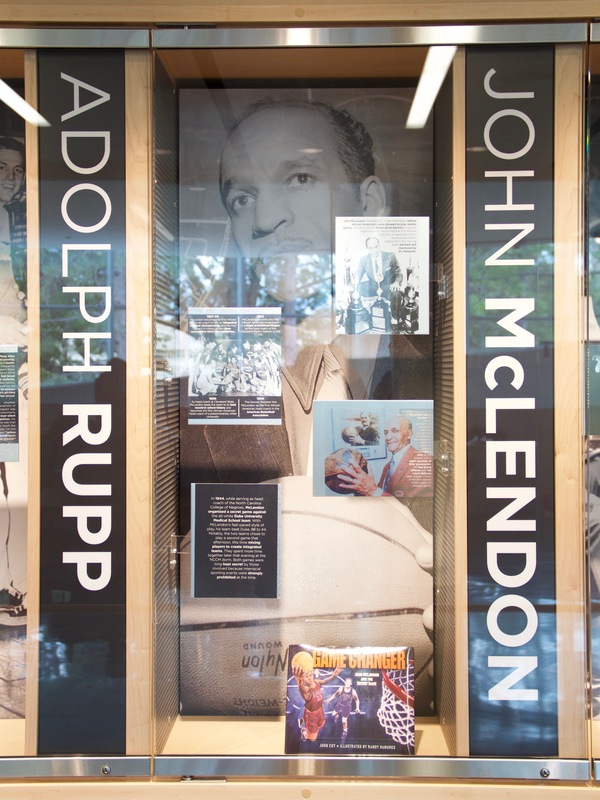 In this exhibit, we highlight the extraordinary accomplishments of these eight Jayhawks, showing in detail how KU played a prominent role in the story of basketball—both past and present. The game has certainly changed since Dr. Naismith had those 13 rules typed in December of 1891. He would be proud to see that the spirit of his game remains the same, but how did we get from a peach basket to the basket we use today? How did we get from an old soccer ball (Dr. Naismith called it an Association Football) to the highly evolved leather basketball of today? In this exhibit we look at the evolution of the basket, the ball, the court, and even the shoes. In the middle of the new exhibit space is a large touchscreen monitor that displays a list of video clips. 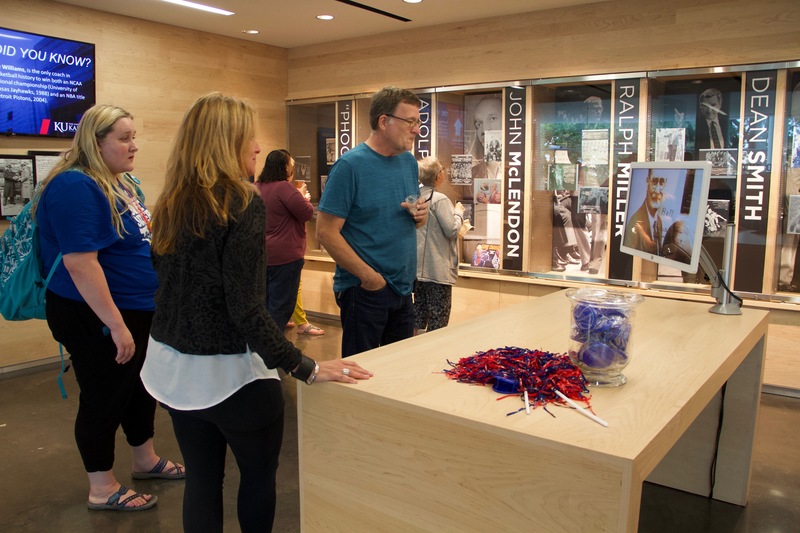 Visitors can press play to learn how the Rules returned home to Kansas, how the Beware of the Phog Banner was created, how the Naismith Audio recording was discovered, how to learn the tricky clapping sequence to the KU fight song…the list goes on!